As they say, Paris is the Fashion Capital of the World. That’s why, when we were there in January for Paris Deco-Off, we kept our eyes peeled for any trends we could spot on the horizon for the Spring/Summer 2018 season. Photo taken at the Pierre Frey presentation during Paris Deco-Off 2018. Display from the Elitis preview collection at Paris Deco-Off 2018. Pierre Frey's Catalog of the 2018 Collections. Then, on my way home from Paris, I again came across the classic combination of warm tones, vibrant patterns, and feather and fringe accents while strolling through the airport. This time by the preeminent women's handbag and leathergoods designer, LONGCHAMP . A glimpse of LONGCHAMP's display I saw in the airport. 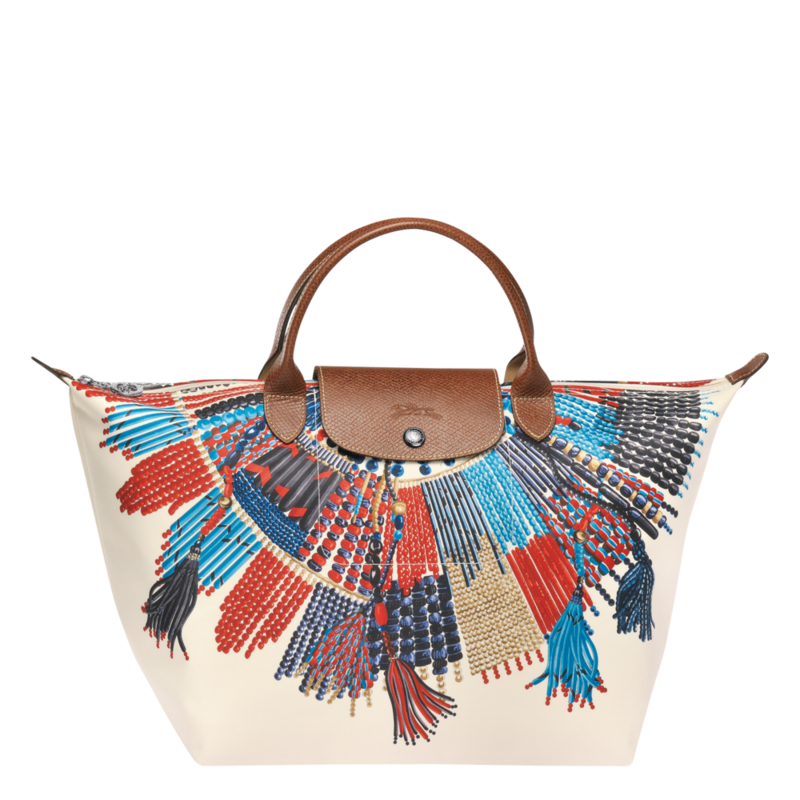 The ROSEAU by LONGCHAMP is inspired by the skillful basket-weaving of Africa. LONGCHAMP's LE PLIAGE Collection, adorned with the Maasai tribe's traditional necklace on its canvas. Since we've been home, we have continued to see tribal patterns pop up all around us, from fashion runways to our favorite fabric lines. The iconic fabric brand, Schumacher, even launched a Tribal Chic collection this Spring. 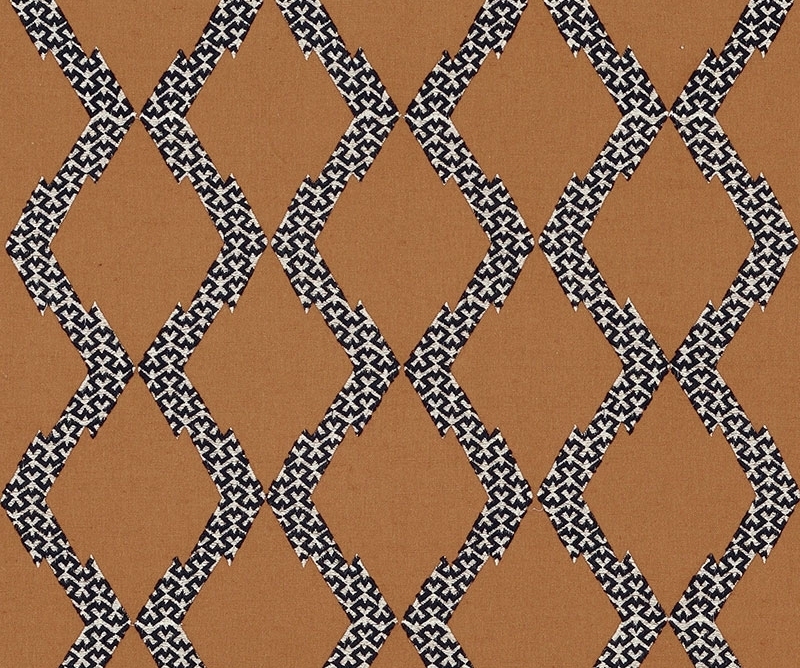 Fabric from Schumacher's 2018 Tribal Chic collection. 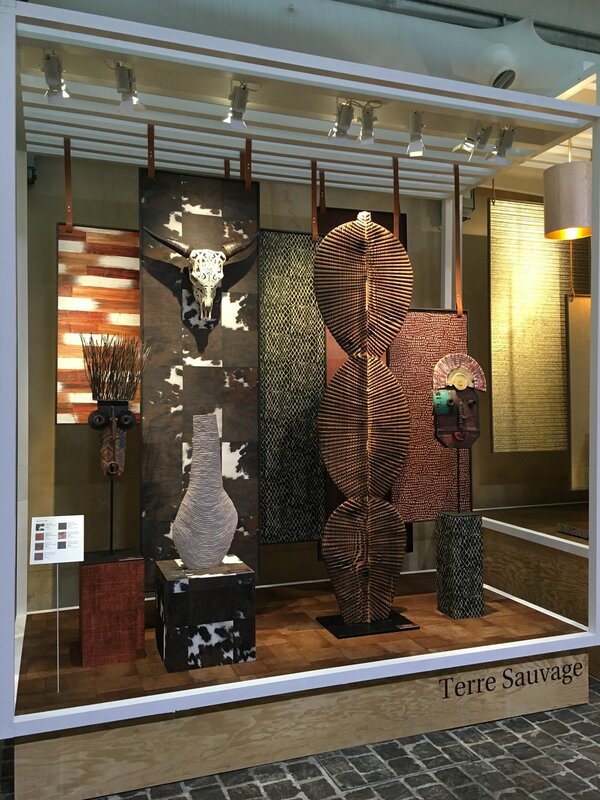 Pierre Frey's "Grand Canyon" fabric, which gives tribute to the opulent and majestic headdresses of Native American tribal chiefs. Honestly, whether or not you're a fan of tribal pattern, it's so refreshing to see the pendulum swinging back to maximalism -- Where color, pattern, accessories, and the “more is more” mindset get to have their moment once again.